The class was going as usual in the German Mission School, at Burj, Chaibasa. A Christian teacher Dr Nottrott repeatedly uttered derogatory words for the Mundas. A student left the school in protest. He criticized Dr Nottrott and the missionaries in trenchant terms. They refused to have him in their school any longer, and he was expelled. This was a turning point in his life; he exclaimed saheb, saheb ek topi hai (all whites, the British and the missionaries, wear the same cap) it was also likely that the Sardars might have influenced Sugana Munda in withdrawing his son from the school. The sardar agitation in which Birsa was thus caught up put the stamp of its anti-missionary and anti-Government character on his mind. Soon after leaving Chaibasa in 1890 Birsa and his family gave up their membership of the German mission in line with the Sardar’s movement against it. He apostatized to the Roman Catholics and remained with them for a little while before lapsing into heathenism. This also followed the pattern of the Sardar agitation which turned to the Roman Catholic mission, seeking support for their claims, and the, disappointed, returned to the old faith. For a year he served in the house of Munda at Kander, where his eldest sister Daskir lived. Birsa was born at Bamba in a suburb of Ranchi (Bihar) on Thursday 15 November 1875. He was named after the day of his birth according to the Munda custom. It was a house built of bamboo strips without a mud plaster or even a secure roof; a crop-sharer or ryot could not boast of a better house. Folk songs relating to his birth seek to embroider the event with the Biblical parallels: a comet or a flag-star moved across the sky from Chalkad to Ulihatu; a flag flew on a mountain top. At school when a teacher once saw Birsa’s palm, he observed on it the mark of the cross and predicated that he would recover the kingdom one day. The folk songs reflect popular confusion and refer to both Ulihatu and Chalkad as his birth-place. Ulihatu was the birth-place of Sugana Munda, the father of Birsa. Sugna Munda has three sons namely- Kowa Munda , Birsa Munda and Bhanu Munda . Sugna Munda, had two more brothers namely- Bhanu Munda and Pasna Munda. 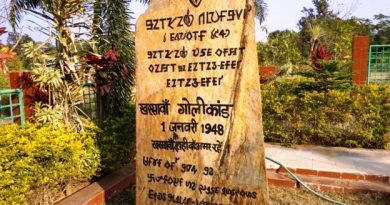 The claim of Ulihatu rests on Birsa’s elder brother Komta Munda who lived in the village and on his house which still exist in a dilapidated condition. Birsa’s father, mother and younger brother, Pasna Munda, left Ulihatu and proceeded to Kurumbda near Birbanki in search of employment as labourers or crop-sharers (sajhadar) or ryots. At Kurmbda his elder brother, Komta, and his sister, Daskir, were born . Then the family moved to Bamba where Birsa’s elder sister Champa was born followed by himself. Soon after Birsa’s birth, his family left Bamba. A quarrel between the Mundas and their ryots in which his father was involved as a witness was the immediate reason for proceeding to Chalkad, Sugana’s maternal village, where Bir Singh , the Munda of the village. Gave them shelter.Birsa’s birth ceremony was performed at Chalkad. Sugana Munda’s elder brother, Bara Kan Paulus, had been converted to Christianity at Ulihatu long before Birsa was born. Sugana and his younger brother became Christians at Bambna; Sugana rose to be a pracharak (catechist) of the German mission. On conversion he adopted the Christian name of Masihdad and Birsa of Daud Munda, also called Daud Birsa. His family stayed at Chalked till the uprising (ulgulaan). Instead of improving his life, He realised that his culture was destroyed and his life style came down. Because thousands of Mundas were converted, the great martyr Birsa Munda was aggrieved and rebelled against Christianity. He denounced Christianity and become Munda again. The colonialist connection of Christianity was a powerful tool of selling Christianity as the religion of the downtrodden. Any connection between the rulers and the missionaries was however indirect. “It is not only our duty,” declared Lord Palmerston, the Prime Minister, “but in our own interest to promote the diffusion of Christianity as far as possible throughout the length and breadth of India.” Birsa’s fight against conversion was yet another reason the British were hunting for his head. Birsa’s early years were spent with his parents at Chalkad. His early life could not have been very different from that of an average Munda child. Folklore refers to his rolling and playing in sand and dust with his friends and his growing up strong and handsome in looks; he grazed sheep in the forest of Bohonda. He shared an interest in playing the flute, in which he became adept, and so movingly did he play that it is said all living beings came out to listen to him. He went round with the tuila, the one-stringed instrument made from the pumpkin, in the hand and the flute strung to his waist. Exciting moments of his childhood were spent on the akhara ( the village dancing ground). One of his contemporaries who went out with him, however, heard him speak of strange things. He remained so preoccupied with himself or his studies that he left the sheep and goat in his charge to graze in the fields covered with crops to the dismay of their owners. He was useless for the job and was beaten by the owner of field. He left the village and went to his brother at Kundi Bartoli, and stayed with him for some time. From there he probably went to the German mission at Burju where he passed the lower primary examination. His long stay at Chaibasa from 1886 to 1890 constituted a formative period of his life. The influence of Christianity shaped his own religion. This period was marked by the German and Roman Catholic Christain agitation. Chiabasa was not far for the centre of the Sardars’ activities. Birsa was amidst them’ Eliazer of Kasmar, Gidun of Piring. Yohanna of Chapari, Mika of Dabgama, Tenga of Katingkel and Bhutka of Rugri were his own men. It was probably in 1890 that he went to Bandgaon where he came in contact with Anand Panre who was a munshi to Jagmohan Singh, the zamindar of Bandgaon, a Swansi. He was well versed into rudimentary form of Vaishnavism that prevailed in the area and with the Hindu epic-lore, and enjoyed some reputation and influence. Birsa occasionally accompanied him to Gorbera and Patpur, but spent most of his time at Bandgaon with him or his brother Sukhnath Panre. He stayed with the Panres for three years. He left Corbera in the wake of the mounting Sardar agitation. During these years he did not keep himself only to the Panres. He participated in the agitation stemming form popular disaffection at the restrictions imposed upon the traditional rights of the Mundas in the protected forest, under the leadership of Gidiun of Piring in the Porhat area. During 1893-4 all waste lands in villages, the ownership of which were vested in the Government, were constituted into protected forests under the Indian Forest Act VII of 1882. In Singhbhum as in Palamau and Manbhum the forest settlement operations were launched and measures were taken to determine the rights of the forest-dwelling communities. Villages in forests were marked off in blocks of convenient size consisting not only of village sites but also cultivable and waste lands sufficient of the needs of villages. Outside the blocks lay the protected forest areas in which rights were regulated, even curtailed. These orders were sometimes not understood by local officers who acted as if all right of forest-swelling communities had been curtailed. Petitions were submitted by Jeta Maniki of Gudri, Rasha Maniki, Moni Maniki of Durkarpir claiming the resumption of what they called were their old ancestral right to free fuel. grazing etc. Birsa led a number of ryots of Sirgida to Chaibasa with a petition for the remission of forest dues. Men form six other villages had preceded him. Nothing came of it. The Chotanagpur Protected Forests Rules framed under the Indian Forest Act came into force in July 1894. Viewing Birsa’s involvement in the Sardar agitation with concern, Anand Panre advised him not to let him emotion overpowers him; but he would not turn a deaf ear to the inner voice. Thus his three years’ apprenticeship under the Panres came to an end in 1893-4. In 1894, Birsa had grown up into a strong and handsome young man, shrewd and intelligent. He was 5 feet 4 inches unlikely height for a Munda, and could perform the feat of repairing the Dombari tank at Gorbera damaged by rains. His real appearance was extraordinary pleasant: his features were regular, his eyes bright and full of intelligence and his complexion much lighter than most of his people. Birsa stressed monogamy at a later stage in his life. Birsa rose form the lowest ranks of the peasants, the ryots, who unlike their namesakes elsewhere enjoyed far fewer rights in the Mundari khuntkatti system, while all privileges were monopolized by the members of the founding lineage the ryots were no better than crop-sharers. Birsa’s own experience as a young boy, driven form place to place in search of employment, given him an insight into the agrarian question and forest matters; he was no passive spectator but an active participant in the movement going on in the neighbourhood. Birsa’s claim to be a messenger of God and the founder of a new religion sounded preposterous to the mission. There were also within his sect converts form Christianity, mostly Sardars. His simple system of offering was directed against the church which levied a tax. And the concept of on God appealed to his people who found his religion and economical religion saving them the expense of sacrifices. A strict code of conduct was laid down: theft, lying and murder were anathema; begging was prohibited. Slowly, he began to be identified with God himself. The people approached him as tier Singbonga or the Sun God, the good spirit who watches over them and can do no ill. He was looked upon as an incarnation of Khasra Kora who had destroyed the Asurs. They said the Sun (which they worship) was above the Birsa was below ; later on , it was given out that the he was Bhagwan himself. Later Birsaites formed themselves into a sect worshipping him as such. The stories of Birsa as a healer, a miracle-worker, and a preacher spread, out of all proportion to the facts. The Mundas, Oraons, and Kharias flocked to Chalkad to see the new prophet and to be cured of there ills. Both the Oraon and Munda population up to Barwari and Chechari in Palamau became convinced Birsaities. Contemporary and later folk songs commemorate the tremendous impact of Birsa on his people, their jay and expectations at his advent. The name of Dharti Aba was on everybody’s lips. Folk songs in Sadani showed that the first impact cut across the lines of caste Hindus and Muslims also flocked to the new Sun of religion. All roads led to Chalked. At that period of history Mundas were utterly frustrated, disappointed and discontented. Zamindars, Jagirdars, Thikedars, Rajas, Christian missionaries and the British courts – all of them had only one point programme and that was to exploit the Mundas. The missionaries allured then to become Christians and the others attacked on their traditional values and socio-economic infrastructure. The British colonial system intensified the transformation of the tribal agrarian system into feudal state. As the tribal with their technology could not generate a surplus, non-tribal peasantry were invited by the chiefs in Chotanagpur to settle on and cultivate the land. This led to the alienation of the lands held by the tribal. The new class of Thikadars was of a more rapacious kind and eager to make most of their possessions.In 1856 the number of the Jagirdars stood at about 600, and they held from a portion of village to 150 villages. By 1874, the authority of the old Munda or Oraon chiefs had been almost entirely effaced by that of the farmers, introduced by the superior landlord. In some villages the aborigines had completely lost their proprietary rights, and had been reduced to the position of farm labourers. To the twin challenges of agrarian breakdown and culture change Birsa along with the Munda responded through a series of revolts and uprising under his leadership. The year was 1895. Birsa Munda, just 20 years old youth of village Chalkad in Tamar renounced Christianity and asked his fellow tribesmen to worship only one God and give up worshipping a number of bongas. He declared himself a prophet who had come to get back for his people their lost kingdom. The reign of the Queen Victoria was over and the Munda Raj had begun. He gave orders to the raiyats to pay no rents, as their lands were free. Mundas were waiting for such messiah. They called him Dharati Aba, the father of the earth. It was said that he had super natural powers of turning the bullets into water; he knew the mantras to drive away the evil spirits, to cure the sick, to revive the dead. But the British Government got panicky. A rumor spread that on a particular day the non-believers of Birsa would be massacred. Therefore the head constable of Tamar was given order to arrest him. He reached Chalkad on 16 August 1885 but the crowd insulted and drove him out of the village. But in the mid night of 24 August Birsa was arrested while he was asleep. He was convicted under section 505 of the Indian Penal Code and sentenced to two-year rigorous imprisonment. After released from jail Birsa had no problems in reorganizing the movement. As a matter of strategy he went with his followers to Chutia on 28 January 1898 to collect the record or rights and re-establish racial links with the temple there. He said that the temple belonged to the Kols in ancient times. The Christian missionaries were unnerved as Birsa had become the biggest stumbling block in their path of conversion. So they were all out to stop and punish him. His followers were arrested. Birsa went underground for two years. By the end of 1899 Birsa , the messiah reappeared with magical powers to invigorate his followers, the Birsaits. Birsa Munda’s longtime companion a Munda woman Sali was instrumental in organizing the women in this movement. It is said that 7000 men and women assembled around Christmas of 1899 heralding the Ulgulaan (or revolution) which soon spread to Khunti, Tamar, Basia and Ranchi. The Anglican Mission at Murhu and the Roman Catholic Mission, Sarwada was the main target. The Birsaits openly declared that the real enemies were only the Saheb Log and the Christian Mundas would not be touched. It was January 5, 1900. The entire Munda community was up in arms. Gaya Munda and his men cut two constables to pieces at Etkedih. On 7 January the Birsait crowed attacked Khunti Police station, killed a constable and razed the house of local shopkeepers. After the suppression of the first rising , in 1895 the Birsa gave a clarion call to the Munda’s ( his followers ) of a decisive war against the British. After a series of concerted attacks for nearly two years on the places loyal to the British, the Munda warriors started congregating on Dombari Hill at village Sail Rakab (Nearly 20 Km far from the Ranchi-Jamshedpur Highway ).Documents revel that the Munda’s , adopted Guerilla war fare, and attacked the British in Ranchi and Khunti. Several persons, mostly police men were killed and nearly 100 Buildings were set on fire. The ” Ulgulaan” (revolt) had started. The then commissioner Mr. A Fobes and Deputy Commissioner Mr. H.C. Streattfield, rushed to Khunti with with an army of 150 to crush the it and the Abua Disun ” ( Self rule ). The revolt rocked the British administration to the extent that the commissioner declared a reward of Rs 500 for the arrest of Birsa. Subsequently British forces attacked heavily on Munda warriors congregated at ” Dumbari Hill ” and made indiscriminate firing like that of “Jaliyan Wala Bagh ” and killed several hundred people. The whole hill was littered with dead human corpses. After Brutal slaughter the dead bodies were thrown into the deep gorges and ravines of the hill. Many of the wounded were buried alive. According to an editorial published on March 25, 1900, The Statesman, put the toll at 400. However, the then administration suppressed the fact and claimed that only eleven persons were killed and nine insured in two firings on January 7 and January 9, 1900. Fear and panic show spread over the area that “Dombari” was named by Mundas as ” Topped Buru ” – the mound of dead. Birsa anyhow escaped to the hills of Singhbhum .He was nabbed while asleep at Jamkopai forest in Chakradharpur on March 3, 1900. Deputy commissioner Ranchi, vide letter no CR-1397 dated 12 nov 1900 reveals that 460 tribals were made accused in 15 different criminal cases, out of which 63 were convicted. One was awarded Capital Punishment, 39 were sentenced to transportation for life and 23 were imprisoned for terms upto 14 years. The six death, including that of Birsa Munda in the prison during trials in less than 10 months, speaks of the probable tortures inflicted on the prisoners of Ulgulaan . Birsa Munda died in the jail on 9th June 1900. His dead body is reported to have been criminated near the distillery bridge Kokar ( Ranchi ). People say, actually Birsa was buried under the bridge (In 1900 there was no bridge). The Government had deployed a huge army to arrest him. He was lodged in Ranchi jail, for trial along with his 482 followers where he died on 9 June, 1900. It is said that he was poisoned to death in the jail row. He was not hanged because the British rulers had no guts to execute him publicly.The role of Christian missionaries during the trial of Birsa Munda and his followers was despiteful. 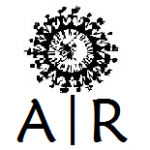 Their organ “Gharbandhu” vomited venoms and published inciting articles in criticizing them. The missionaries also allured the Mundas to accept Christianity or go to gallows. Several Mundas fled from Chotanagpur to Assam and other places. But Sir Surendranath Banerjee, a member in Bengal Council supported their cause in ‘Bengali’, a leading paper of Calcutta. This was the last of the heroic tribal movements of the 19th century in the Chotanagpur plateau. The Mundas had been living in the Chotanagpur plateau for more than 2000 years and are one of the most ancient settlers in this land. The introduction of rent for the land, a concept hitherto unknown to the tribal, infuriated them. Then there was collection of taxes for just about any reason. The British courts, unfamiliar with the tribal language had to depend upon the local interpreters to act as middle men. These people were only too pleased to help their powerful landowners. Thus, the tribal could not get justice from any direction and led them to believe that it rest upon themselves to rid the place of dikus. In 1856, there were in Bihar 600 Zamindar dikus holding land ranging from a portion of a single village to even 150 villages each. The dikus, unable to comprehend the social and political organization of the tribal simply dismissed them and replaced with limbs of modern governmental machinery. Worst of all, the tribal customs, practices and superstitions were dismissed lightly. Another important reason for the revolt was of course, the concept of Beth Begari, or what is known today as bonded labour. General poverty led many of the Mundas to leave their ancestral homes and shift to work in the Assam tea plantations and their earnings were spent mostly on liquor. 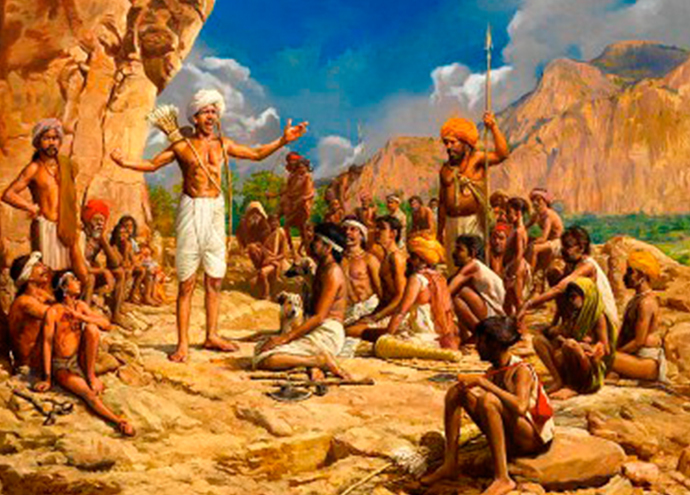 Birsa Munda, came to be known as Birsa Bhagwan and his followers were called Birsaite Bhagats. He believed that the Mundas will be able to regain their lost kingdom with the annihilation of the enemies. He then wanted to establish Birsaite Raj in which he would be the King. The core of Birsa’s message had initially been social and religious. He called upon the Mundas to uproot superstition, abjure animal sacrifise, cease taking intoxicants. Birsa Munda continuously infused the tribals with a sense of their destiny with many of the ancient myths that lay embedded in the popular consciousness. He advised people to not to obey the police, the magistrates and the landlords and to boycott the ‘beth begari sytem’. 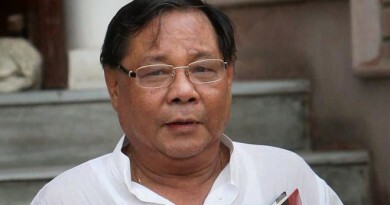 He spoke against unlawful land acquisition and tried to unite his people against the diabolic exploitative triad of zamindars, foreigner and traders. In 1895, Arson and arrow firing against the Christian missionaries and few police stations started on an epidemic scale under the leadership of the Birsa. There were secret meetings held on the hill tops where they would plan their next attacks which would be carried out sincerely by the Mundas. Later, the police got a tip off on the next location and surrounded the Dombari hill. The arrows were met with the bullets, yet surprisingly the toll was not alarming. Then, the police systematically arrested the disciples of Birsa, who had by now absconded into the thick of the forests. The Mundas were galvanized into martial fury and carried out their revolts with great courage and determination. The results were, however, the same whenever the tribal fought the mighty British: they were crushed. 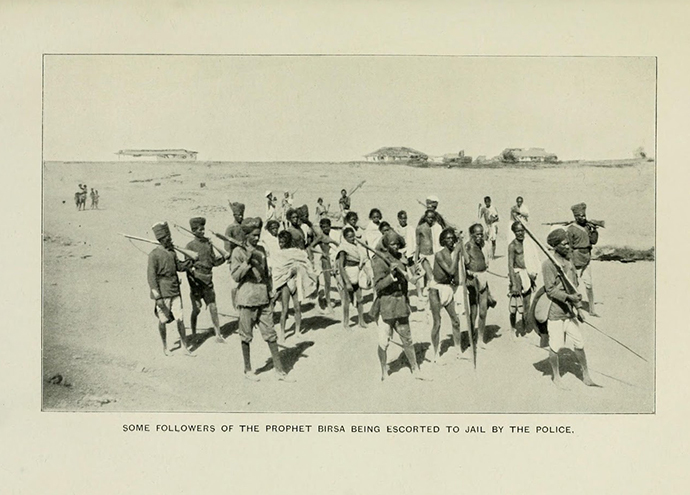 Birsa was captured, released and finally recaptured after his forces suffered a terrible crushing by the British army in 1900. With his death, the Birsa movement slipped into oblivion but he had succeeded in giving them a solidarity which was missing before. Again, some temporary measures were taken. Thus bullets crushed this great movement. Though Birsa was dead but his purpose was not defeated. Just after the movement, the Government passed the Commutation Act of 1897 and then it was decided to start survey and settlement in 1901. The Mundari Khuntkatti right was recognized and finally the Chotanagpur Tenancy Act (Act-VI of 1908) came into being. 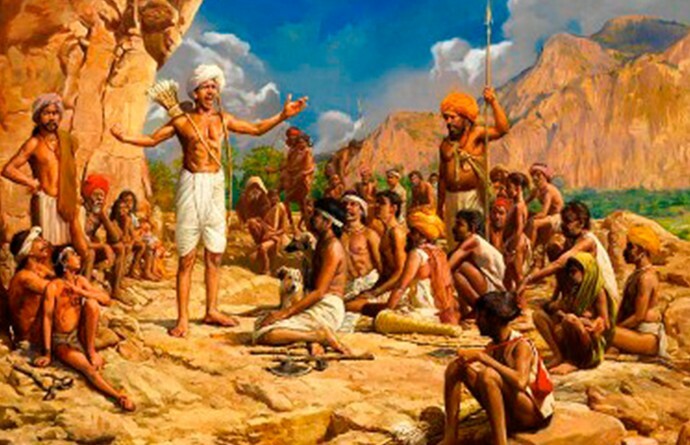 Birsa Munda – the great Dharati Aba shines as the first tribal martyr who fought for the independence of the country. True, he operated in a small area but its impact was felt in the years to come. He was ahead of time. After the death of Birsa Munda the number of Birsaites slowly went down. Presently they are a religious minority group residing in about 100 villages of Porhat (Singhbhum), Ranchi and a part of Orissa. Middle Level Education of Birsa Passed Class seven from Lucheran mission middle school in Chibasa. He accepted Christianity here while schooling and his Christian name was kept David Daud. 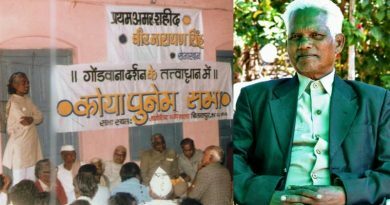 The article is an excerpt from Ulgulaan- Chalu Akana (Chapter 3) by Pankaj Prasoon and can be accessed here.